Allow your creativity to flow freely with Twinson® Face. 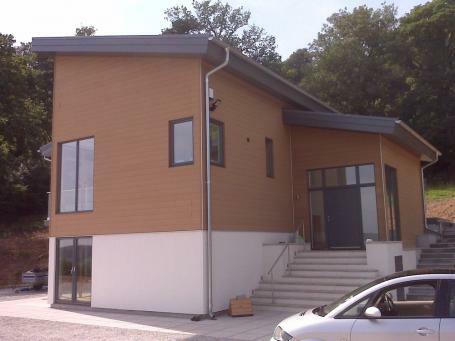 From front façade to rear wall, from the roof line to the dormer windows, Twinson® Face offers you the ultimate wall cladding solution, with the natural force and feel of wood and the flexible durability of PVC. The resulting low maintenance gable end planks are water-resistant, rot-proof, moss and splinter-free, yet elegantly natural and in perfect harmony with your home, giving instant kerb appeal.